Located about 1.4 miles from Stidham. Stidham is about 5.5 miles north of Eufala Rd. (Route 9). From Stidham, go west about a mile on E. 1135 Rd., then north on N. 4100 Rd. less than a half mile. 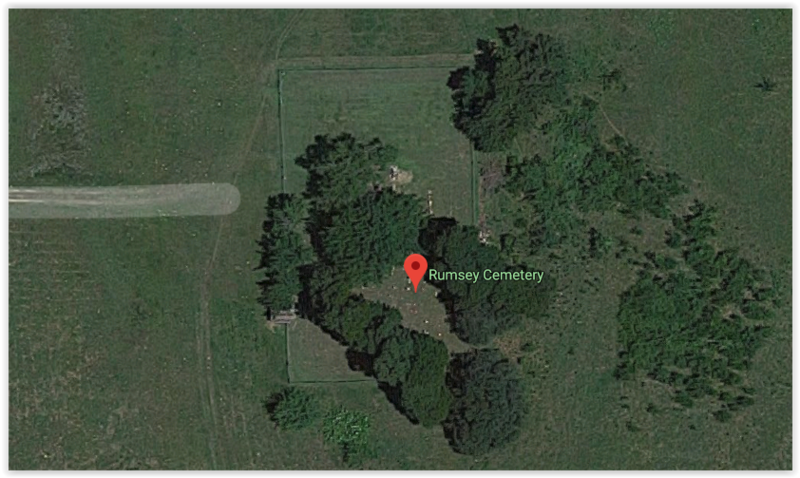 There is a dirt road across from a house, leading due east to the cemetery.